Black Car Limousine has several types of limousines available to choose from (SUV, stretch limo, party bus, etc.). Choose the type that works best for your occasion, taking into consideration how many there are in your party and what your plans are. In selecting the limousine company, you want to make sure the one you choose is properly licensed and insured like Black Car Limousine Services. Although it may appear to be less expensive to hire an unlicensed limousine provider, if an accident were to happen and someone in your party were to get hurt, you would have no recourse. You can ask around to representatives from other companies that regularly use limousine services to find out about Black Car Limousine Services’ reputation. Find out if the company has a contingency plan in case the limousine is in an accident or breaks down. If not, then you have two choices. 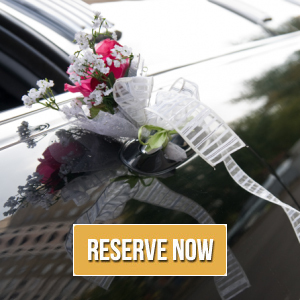 You either have a backup plan in mind or hire another limousine service that you know does have a contingency plan. Black Car Limousine has a network of limousine companies which provides a better chance to attend such emergencies. Conversely, it may be you that has unforeseen problems, so make sure you know in advance what the cancellation policy is. The cost to rent a limousine can have a wide range depending on certain factors such as, but not limited to: type of vehicle, event date, event location, etc… . Ask the staff at Black Car Limousine Services what amenities are included in the price. Knowing up front what you are and are not getting eliminates surprises later. Costs can vary based on current demand (such as during prom and wedding seasons). You’ll want to know up front whether or not the company accepts credit cards. Once the service has been booked ask for a written confirmation to be faxed or sent in the mail. Another critical action you need to take is to make sure you are getting the car you asked for. Just before the event, arrange to see the car and check it out. Is it clean? Does it smell like cigarette smoke? Are you getting an older model? (interpret as less reliable and less comfortable), Black Car Limousine Services will help you have all those problems and questions addressed before the time of pickup. If there are several people in your party, it’s always a good idea to have everyone in your party meet at one location to avoid extra pickup and drop off time. I realize that sometimes this is part of the fun, so use that as a guideline, but realize the cost may go up if the driver has to make extra stops. To avoid any awkward moments between you and the driver, be sure you know the company’s tipping policies. Some encourage it while others don’t. It’s also a very good idea to get the chauffeurs name and cell phone number to maintain contact and get a hold of them if necessary if the timeline changes and your group needs to be picked up earlier or later. Policies vary between companies regarding pets. Some allow them while others don’t. If you need to travel with your pet, you’ll want to know this in advance. Also, if you have special needs such as a child seat or handicapped person(s), you’ll want to address this with the company beforehand. Call Black Car Limousine Services in advance to these issues addressed. Plan carefully and ask the right questions while you are still in the selection process, you’ll be more than likely to choose Black Car Limousine Services to satisfy your needs and to add a nice touch to whatever event or meeting you are attending or organizing.